I Received a Postal Letter in the Mailbox Which Is Not Mine: Can I Forward to the New Address? Mail being delivered to the wrong address does happen occasionally as mail carriers are human and Americans have become more nomadic than in generations past. If you receive mail not addressed to you, but at your address, there may not be much you can accomplish; mail that doesn’t have your address can be rerouted for no charge. Mail that is delivered by the United States Postal Service (USPS) to the wrong location can be rerouted. Do not mark over or erase any part of the address on the envelope. Do not change the endorsement on the envelope. Simply give the piece back to the postal carrier either by placing it in your mailbox or handing it directly to the carrier. 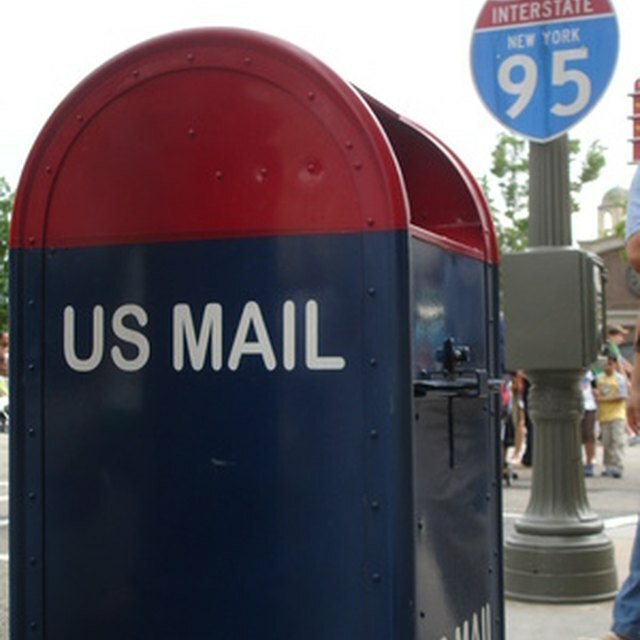 If mail is delivered to the correct location (your address matches the address on the envelope) but the recipient does not live at the address, the USPS website says simply to write "not at this address" on the mail piece and give it back to the postal carrier. Destroying mail not addressed to you is punishable by the federal government. Specific questions regarding the destruction of mail and the delivery of mail with an incorrect address should be addressed to your local postal carrier. Nicole Rosen has been a freelancer since 2003, specializing in management, merchandising, taxes and credit repair. Nicole writes mainly for the web, and in print for the "Ft. Lewis Ranger." Her merchandising experience encompasses products from candy to electronics while her management skills span merchandising and tax preparation. She has completed three semesters of nursing school and held an EMT-B license for eight years.